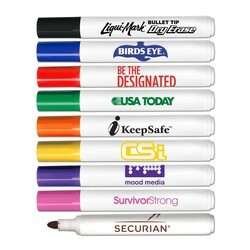 Low odor, broadline dry erase marker in white barrel with bullet tip. Caps match ink color. Non-toxic. 5" long. Made in USA by our Union Shop. Great for educational market and hospitals. IMPORTANT: Due to the wide variation of wipe off surfaces, we urge you to test markers on intended surface before ordering. 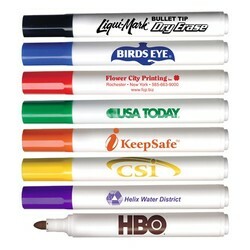 Contact factory for ink type suggestions and free samples. 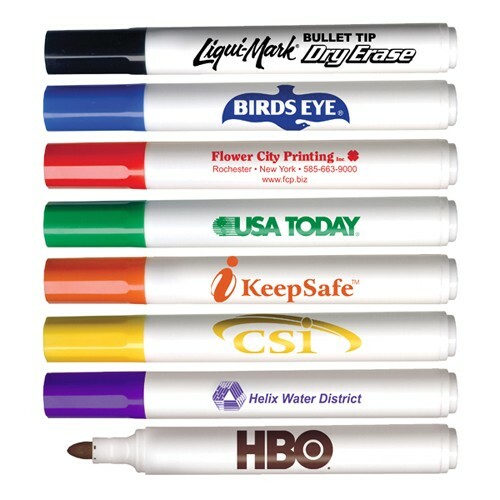 Liqui-Mark will not be held responsible for markers not wiping off if a sample was not requested and tested prior to purchase. Color Selection: Black, Red, Blue, Green, Orange, Yellow, Brown, Pink and Purple. Color of cap matches ink color. White barrels. Imprint Colors: Standard colors recommended. Packaging: Bulk, 300 @ 10 Lbs. 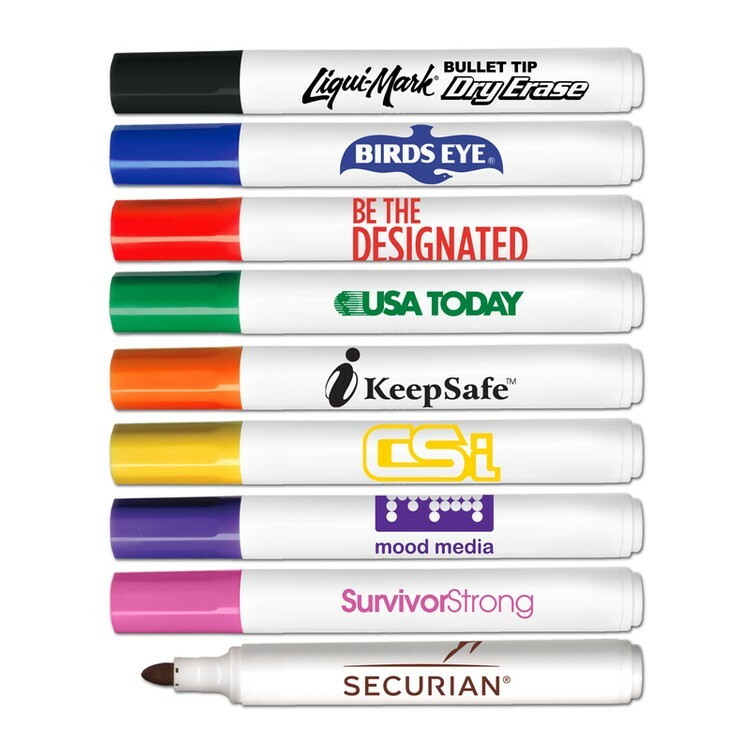 Please test a FREE sample with your surface before ordering.